2. We discuss the small size of Roero 1100 ha/2700 acres of which most of it is Arneis with some limited growing of Nebbiolo. We chat about the advantages of Roero and how its polyculture will serve it well in years to come! Roero Arneis is minerally and expressive, mild in acidity, but the soils add complexity and minerality. 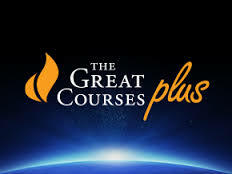 Go to www.thegreatcoursesplus.com/wine for a month free trial of over 8,000 lectures!! !